For those who are not familiar with Ramadan (also spelled "Ramadhan"), it’s the name that is given in Malaysia to the Muslim month of fasting. This is a time when Muslims fast to understand what it feels like to be poor and without food, a time when they learn to empathize with those who are needy. It’s not just a fast from food, it’s a fast from all sinful things—fasting from hurtful words, mean thoughts and acts, or from bad habits like smoking. The Muslims fast from sun up to sun down so, during this month, many Ramadan food bazaars are set up in various locations to cater to those who are breaking their fast in the evenings. All sorts of goodies can be found in these bazaars, including grilled fish, grilled chicken, many different kinds of home-made meat and veggie dishes, and of course, plenty of drinks and snacks to go around. The bazaars are set up so that during this time, those who are fasting don’t have to take the time to cook themselves. And normally, the breaking of fast is quite a special occasion where special foods that are not normally served at other times of the year will be bought or cooked and consumed. I think Roast Chicken Ramadan is a perfect fasting month dish. The spice list might seem long but for many of us in Southeast Asia, these are common spices that we have in our pantries. For others, it might take a bit more effort but the little effort will be totally worth it. If you have a food processor, the work is even easier as you won’t have to pound the ingredients. A quick whiz in the processor and you have your marinade made. And if you’re smart and already bought all the ingredients, you could easily double the marinade ingredients and save one portion in the freezer for the next time (which would then make this dish even easier the second time around). And trust me, there will be a second (and third, and fourth…). After creating the marinade, cooking it (we Malaysians call it “tumis”), and cooling it, it’s just a matter of smearing the marinade on the chicken and letting it sit overnight in your fridge. The next day, about an hour before you plan to eat, just preheat your oven, set the butterflied chicken into the oven and let it go. 1. Rub salt, white pepper and black pepper all over the butterflied chicken both skin-side and bone-side. Leave aside. 2. Heat oil and saute ground spice ingredients (A) until aromatic. Add in chopped onions and tomatoes and fry for three to four more minutes. Add seasoning to taste and mix. Dish up and leave to cool. 3. Spoon sauteed spices over chicken and rub all over. Leave aside in a plastic bag or large bowl to marinate, preferably overnight in the refrigerator. 4. Put chicken on a rack placed over a tray. Roast at 180°C (350 F) for 25-30 minutes. Turn over at the final 10 minutes. Roast until chicken is cooked, and juices run clear (about 45-60 minutes total). 5. Remove chicken from rack. Chop up chicken into bite-size pieces and serve with rice, or roti. What comes out after it’s done is a heavenly, moist and flavorful chicken that goes really well with white rice, roti, or just eaten on its own with some cucumbers for contrast. And what makes this dish even better is that the kids can handle the heat (there isn’t very much in it) and they will clamor for more. At least my kids did and that is always a good thing in this house. So, in this month of holding back from bad things, treat yourself to this very, very good thing. You’ll be glad you did! I am entering this post in the Muhibbah Malaysian Monday roundup, hosted this month by Suresh of 3 hungry tummies. Delicious! I’m always on the lookout for chicken dishes as it’s my husband’s favourite and I enjoy all things spicy so this is a perfect fit. Great! Let us know how it comes out for you. just look at the ingredients, I know I will like this chicken, all are my favourite ingredients, sound really delicious! I’d love to see you bake this in a solar oven! Fabulous roast chicken with all the wonderful spices! Thanks for taking part guys! 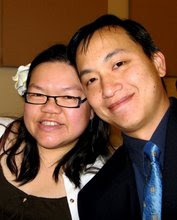 Thanks for co-founding and hosting a roundup like this! I wish I knew about it sooner. Oh my goodness, that looks delicious! I vividly recall Ramadan fasting from my time living in Saudi Arabia because even those who aren’t Muslim and don’t observe the fast were not allowed to eat or drink in public in deference to those who are fasting. I don’t remember any Ramadan food bazaars, but the restaurants all stayed open late to cater to the fasting crowds. Were there any dishes that came out only during the fasting month? I made roast chicken last night…! have to try this next time. Great! Let us know how it turns out for you. This is a must-try roast chicken recipe, got most spices again. Will definitely try, thanks for sharing the recipe. Wow, this chicken sure looks delicious, full of yummie flavors…love the color of this roasted chicken…perfect! The flavors of the chicken must be fantastic, super delicious! Really love Chicken Recipe and your picture are great in presenting the cooking procedure of Chicken Ramadan Recipe. This looks so delicious! Must smell amazing too. 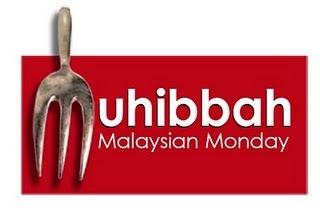 Thanks for joining us in the Muhibbah Malaysian Monday blog event. The chicken looked so good when I took out from the oven. It tasted delicious, however the chiken still red (uncook) inside ( I baked almost 45 mins). you have to cook the chicken until the juices run clear. The best way to cook the chicken is to use a remote probe thermometer inserted in the thigh meat and set for 180* F. Otherwise, you’ll have to check the chicken manually by using a knife to pierce the meat to the bone. If the juices run pink, cook it for another 10 minutes and check again. Thanks for the question! I’m glad you made the recipe, and I hope you’ll have better success next time. SWIFT Theme by Satish Gandham. 57 queries in 1.029 seconds.